The organizers of Rugby World Cup 2019 held an orientation session Saturday in Osaka for some of the roughly 13,000 volunteers who will assist visitors at the Sept. 20 to Nov. 2 tournament. 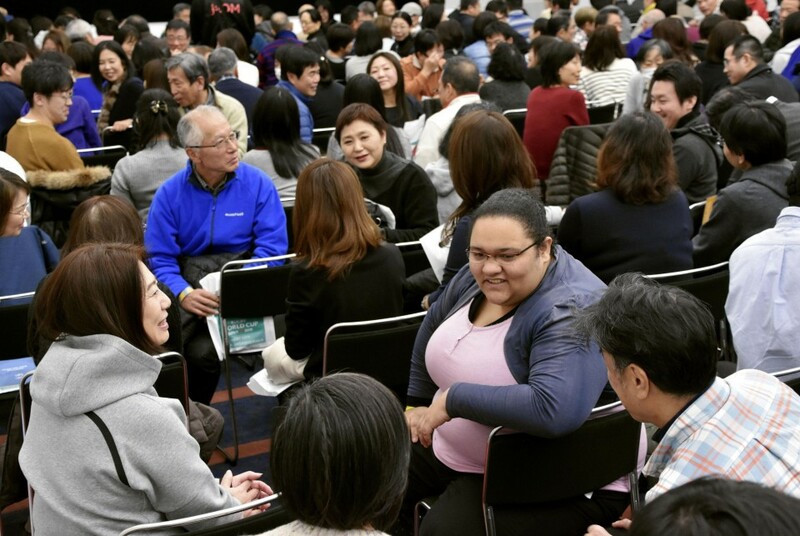 On Saturday, roughly 600 of the 900 volunteers recruited for Osaka in western Japan greeted each other and received instruction about their various roles during the tournament. The Hanazono Rugby Stadium in Higashiosaka city will host four pool matches during the World Cup, starting with Italy vs Namibia on Sept. 22. Kei Sunahara, 20, a second-year university student from Higashiosaka, was among the volunteers taking part in the session. "I applied to become a volunteer because I wanted to make use of the experience I gained during my studies abroad," he said. "I'd like to contribute to this international event being held in my local area." The organizers selected the 13,000 volunteers from a record 38,000 applicants. They will be deployed at match venues and nearby transport hubs throughout Japan during the tournament. The first Rugby World Cup to be held in Asia has been met with overwhelming demand for tickets, with all seats for host-nation Japan's pool games selling out immediately after the start of general sales. Tickets for all knockout-stage games have also sold out, along with other blue-ribbon matches involving rugby's traditional powerhouse nations.